MSI has introduced the Trident X Series with the latest MSI GeForce RTX 2080 graphics cards and the Intel 9th Gen Core K series processors. 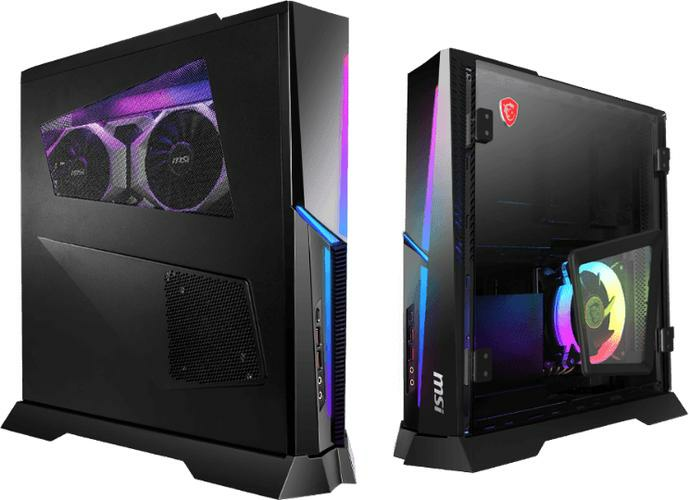 The MSI Trident X series is a compact desktop PC that incorporates an SFX power supply and the latest MSI GeForce RTX graphics card within a 10 litre case. The Intel 9th Gen Core K series in Trident X provide 50% more performance than the previous generation, according to MSI. Users can swap out the default metal side panel with the included tempered glass panel, which opens like a door to allow users to access and upgrade processors, memory or hard drives. The included mesh design on the bottom part of the glass helps ventilate the heat from the CPU. MSI’s Silent Store Cooling thermal system utilises three separate airflow paths to individually cool different components within the Trident X. The Trident X series features the MSI light design and effects that were first used in the Trident 3 Arctic. Users can customise lighting effects through built-in software, featuring different modes like static, breathing or sync with audio. For more information, visit https://www.msi.com/Desktop/Trident-X-9th.